Engineering Department, for product design & development, and project control. Laboratory of electronic development, fully equipped. Electromechanical assembly. Spacious workshop, prepared for overdimensioned boards and panels. Assembly of printed circuit boards (PCB) for prototypes. Pick&Place and manual welding (wave or reflow) in order to optimize prototypes’ and small-series processes and costs. Production line. Including assembly, integration and electronic test, ready for the manufacture of both complex and start-up projects. 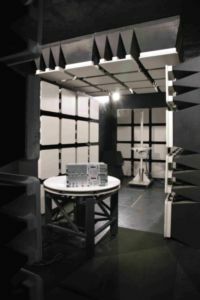 EMC and quality laboratory equipped with anechoic and faraday chambers. Conditioned with instrumentation for radiated and conducted EMC measures. Climatic chamber for product qualification and Burn-in tests. 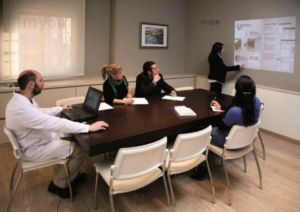 artners’ network integrated within our planning and purchasing system, in order to be able to offer with promptness and at a low cost: mechanical design, series mechanized production, PCI manufacture and assembly line, and painting .